Yes we eat, yes we run and yes we love fitness but we also love fashion too... The Food and Lycra sisters are professional shoppers - yeah yeah it's true ahah. You'll discover this in a future post. But right now let me introduce you to Lexie Sport. A lot of us were highly inspired by the Olympics last year. I have to say it was really special. Everyone started to be more active and more willing to exercise, and participate in sports. Others, like dynamic young designer Lily Rice decided to create her own sportswear brand for women during the summer of sport 2012. And so, Lexie Sportswear was born. Last week, Lily invited us to the launch of her "Icon Collection"
The "Icon collection" is a combination of of ergonomic designs and bold graphics for an on and off court style. 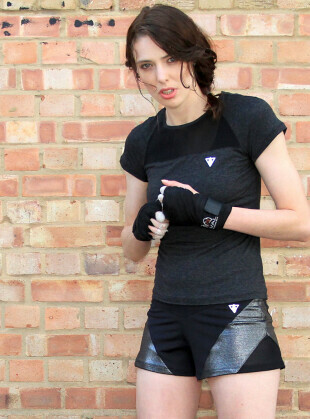 Lexie is a brand created for fashion led active women. A lot of conventional performance gear is often bright but the collection has a clean palette of blacks, greys and is embellished with sheer panels and reflective elements strategically placed. The small, but strong, 4 piece collection will please many and the prices are affordable too, with the limited edition Veronica Short (RRP: £30), the versatile Grace Leggings (RRP: £35), The Clare Tee (RRP: £35) and The Gloria Hoodie (RRP: £65).